Dawn Mahaffey, Owner. Dawn has lived with dogs all of her life. Her first job, at age 14, was at a professional breeding, boarding and grooming kennel which bred and exhibited Dachshunds. 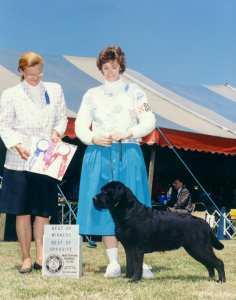 She became involved with Labradors in 1976. She began exhibiting in 1977 and bred her first litter in 1978. Her first Border Terrier arrived in 1995. Dawn has over 30 years experience in dog grooming and dog training and over 25 years experience in presenting her show dogs. She is also an NDGAA Certified dog groomer. Dawn holds a Bachelor of Science degree in psychology and a Master of Science degree in counseling from Virginia Commonwealth University and is currently the Social Work Supervisor at a local Virginia Department of Social Services. She is a past President and Secretary of the Northern Neck Kennel Club, is a member of the Labrador Retriever Club of the Potomac, The Border Terrier Club of America, the Rivanna River Earthdog Club, the National Dog Groomer's Association and is a full member of Association of Pet Dog Trainers. She has put AKC championships, UKC Championships, AKC obedience titles, AKC Earthdog titles, AKC Working Certificates, Canine Good Citizen titles and Therapy Dog International certifications on her dogs. George Mahaffey, Former Co-Owner. George was a retired social worker who officially became a "dog person" when Dawn asked him to raise a potential show puppy for her in 1997 - and married him in 1998! 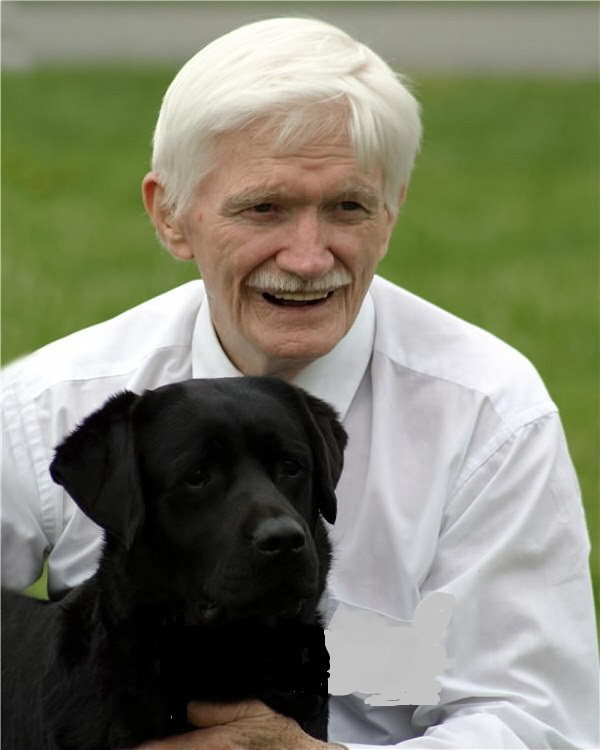 George was a natural dog person, who became a successful exhibitor in the breed ring and earned a Canine Good Citizen Title and Certified Therapy Dog title on his dog until serious health conditions forced him to retire from canine competition. George held a Bachelor of Science degree in psychology from the University of Pittsburgh. He was a past president of the Northern Neck Kennel Club, a past member of the Labrador Retriever Club of the Potomac, the National Labrador Retriever Club and the Border Terrier Club of America. His favorite line was, "My wife's the dog lady - I'm just crazy about the dog lady! " We lost George in December of 2009, but his influence is everywhere at Lorien Kennels and in every dog we breed.